An experienced commercial locksmith is an essential resource for any business owner to have on call. Businesses need to be protected by reliable locks, high quality security, and the manpower to maintain them. Next Door Locksmith is a Calgary commercial locksmith that can provide exactly these services to businesses like yours. Knowing that normal business hours are an important time to conduct business and not worry about security, we keep our hours open longer – 24/7 availability – so you can get your locksmith needs taken care of after or before your business hours. We gladly serve the local community, here in Calgary, with guaranteed customer satisfaction, excellent and professional service, and a 30 minute response time for your convenience. We could spend hours telling you all about how we’re amazing at what we do and how we have the expertise to provide the best quality service around. But rather than trust our word, trust our license and certification. We’ve been licensed to be professional commercial locksmiths; it’s how our business thrives, because customers know they can count on a licensed commercial locksmith to provide top quality security. Try us out for yourself and you’ll learn personally the kind of service you can receive from a certified professional locksmith company like Next Door Locksmith. 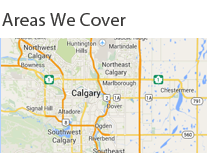 Next Door Locksmith Calgary offers a great range of commercial locksmith services. To help you see what we can do, here are some brief descriptions of a few of our services. Master Key Systems – Whether it’s installation, repair, or maintenance, we can manage a master key system for you. It’s not very secure to have one single key type be able to open all the doors and cabinets and files in your office, and to have everyone employed there have copies of that key. It’d be too easy for a key to be lost or for an untrustworthy employee to steal something. But neither is it convenient to have different keys for everything and for you to have to carry around a key ring full of keys, trying to remember which one goes to which cabinet. Have us install a master key system, and you can maintain security with unique keys for each employee and a single master key for you that can open every single door or cabinet. Surveillance and CCTV systems – Security gets even better when you ask us to install a surveillance system like a closed circuit television (CCTV system). Your eyes will be on everything at all times, making it impossible for someone to break in and steal from you without detection. Safes – If you have business supplies that need extra protection, you need a high security safe. We can take care of that for you if you’d like; just call us at Next Door Locksmith and a commercial locksmith technician will bring one to you. We offer many more services than those listed above. Next Door Locksmith is there for any of your commercial locksmith needs. You can also contact us for any automotive locksmith, residential locksmith, or emergency locksmith concerns.